I closed All Start Helicopters after about a year and a half of operation. You can read more details about it in my biography page. If you are looking for a training school in the Northeast USA, I can recommend Northeast Helicopters Inc. at (860) 871-2054. They are in Ellington, Connecticut. 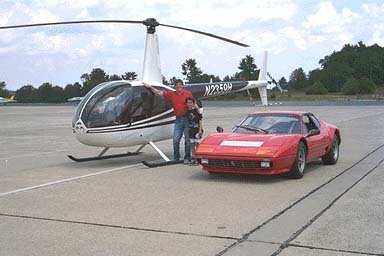 Pictures of the helicopters I used to fly at (now closed) Boston Helicopter Company in Norwood, Massachusetts. Pictures of an Enstrom I used to fly being painted (I still have to find a picture from before it was painted, but it was a pretty ugly green and black). Air-to-Air pictures taken around Boston.